With more than 2.19 billion monthly active users worldwide, Facebook is the go-to social network for droves of people. So given the massive number of users on the site, are businesses successfully capturing leads and closing sales with Facebook advertising? To answer the question posed above, “yes, it does work.” But you have to know the best practices for designing a Facebook lead generation campaign. In fact, sending your ad traffic to a high-converting landing page is likely the single best way to maximize your Facebook ad spend. Well, the time is now. Here is a super simplified and actionable guide on lead generation on Facebook. The following tips were gleaned from our team and from actual Leadpages clients, so you know they are tried-and-true methods to success. Without further adieu, here are our top pieces of advice for to “how to generate leads on Facebook”. You’ll see nine actionable (and fairly straightforward) tips for Facebook ad success! Consistency reduces friction and prompts users to take the desired action. Take it from Jenny Berk, CEO and Founder of Jenny Eden Coaching who gave Leadpages a go and saw her conversion rate increase 34%. She attributed her success on Facebook to a few things: using a targeted landing page versus sending traffic to a static page on her business’ website and aligning her branding across the entire customer journey—not just within her website—in order to create a cohesive experience. Using the Leadpages Integrated Facebook Ads tool, she easily delivered her audience a seamless experience, from the first click on the Facebook ad to the final conversion on the landing page. By delivering consistent images and written copy, Jenny effectively presented her brand as professional and reassured her visitors that they were in the right place and just a click away from accessing her lead magnet. The same message: Keeping marketing messages consistent in all marketing channels. The same look & feel: Maintaining consistent imagery (particularly the hero image) and color palette is key. The same language: Never faltering when it comes to swapping the voice, tone, or content of your campaign. The same great offer: Check your links and sales copy to make sure everything is copacetic. For more tips and tricks like those used by Jenny, check out our Un-missable Facebook Ad Landing Page Essentials Will Change Your Campaigns Forever. As a business owner or marketer, you’re probably wondering: How can I best reach the perfect audience for my products and services, without wasting my advertising budget? When you’re marketing on Facebook, the audience is technically the Facebook users who will see your sponsored posts in the Facebook newsfeed, the sidebar, on Instagram, or on Facebook’s advertising network. And because Facebook attracts upwards of 2 billion users from around the world every day, a “spray and pray” marketing strategy will not work here. Facebook’s “Saved” Audiences: Leveraging the data Facebook has on all its users, any advertiser can reach the exact type of person that would best match their marketing message. “Custom” and “Lookalike” Audiences: These powerful segments of Facebook users are even more likely to resonate with your marketing due to a closer match of behavior to your existing subscribers and customers. The Facebook audiences wizard gives you 3 choices. We recommend starting with a lookalike audience built to mimic the subscribers you already have on your email list. Facebook launched ads with a single image format, but since then has expanded its ad formats to include a host of different options. Picking the ad format that best fits your business goal will help improve your conversions and make your leads pour in. Photo: Use beautiful images to convey your message. Video: Tell your story with sight, sound and motion. Carousel: Show multiple images or videos in a single ad. Slideshow: Create video ads to connect with people across connection speeds. Collection: Tell a story with a single ad that showcases your business. Messenger: Help people start conversations with your business. When’s the last time you gave out your contact information for free? … how about, never? Think of Facebook as the bustling and overcrowded Times Square where businesses and individuals compete for people’s attention on the regular. What initially piques your interest and is viewed first? More often than not, it’s the image. Pictures do speak a thousand words, so invest in the time to find the most captivating images for your lead generation Facebook ads. Different colors have different effects on our minds. Using specific colors is a vital creative asset every successful Facebook advertiser practices. 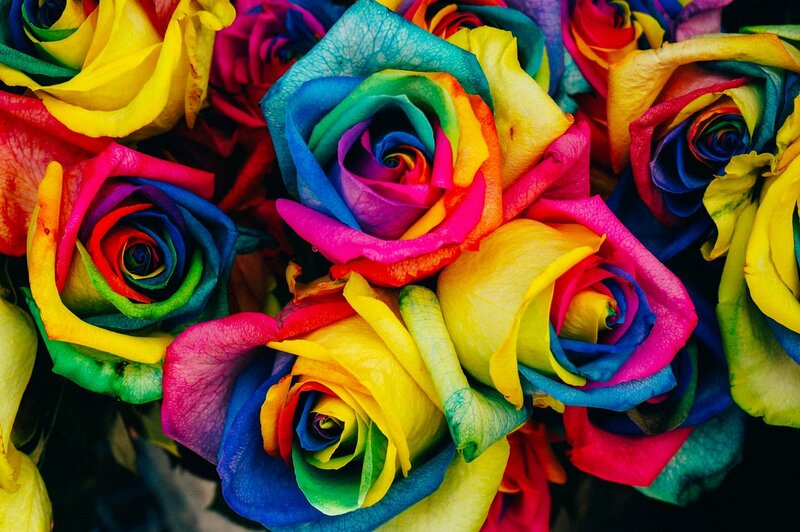 In fact, 90% of all the snap judgments that we make about products can be traced back to color, according to a study “Impact of color on marketing” in Management Decision. Your color selection draws down to appropriateness and fit for your business. There is no cut-and-dry color selection that converts the best. Just think about your primary customer: who they are and what they prefer (it’s widely gender and age dependent); and then you’ll better understand what colors would work. But in the same vein of these design tactics is another principle that works across industries and businesses – and that is contrast. Imagine scrolling through your Facebook News Feed right now. What do your eyes go to? Your best friend or neighbors’ recent vacation shots, but beyond, that they focus on high-contrast images. The psychological principle known as the Isolation Effect states that an item that “stands out like a sore thumb” is more likely to be remembered, notes Psychology Today. Research clearly shows that participants are able to recognize and recall an item far better (be it text or an image) when it blatantly sticks out from its surroundings. Both the Aesthetic Response to Color Combinations and Consumer Preferences for Color Combinations studies also reveal a majority of consumers favor highly contrasting colors. Think about ways you can create visual contrast in your Facebook lead generation campaign. Believe it or not, there is even a psychological effect that backs this design hack up: pareidolia, causing humans to look for faces in everyday objects. Seeing common faces – especially smiling ones – is deeply meaningful to our brains, a vestige of our primal beings – so use images of faces in your Facebook landing pages and ads! An estimated 66% of Facebook’s 1.3 billion daily users access the site from a mobile device. Facebook mobile friendliness is now a must-have as more people access the network via handheld device than a desktop. To be mobile device-compliant – the answer is pretty simple. Choose a Facebook lead generation software with a built-in mobile template so there’s no option but to create an ad or landing page perfect for a smartphone or tablet. Simplicity in design and copy is essential with lead generation on Facebook. Too much text is distracting to viewers and can lead to fewer views, says Facebook. Uncluttered images and text have a greater impact on your audience, so keep it simple! Check out these Facebook ad examples for inspiration. With Leadpages and Zapier, you can connect to 1000+ different apps and seamlessly shuttle your leads (by registering and updating email addresses, contact information, and related data) into your favorite marketing tools – such as an email service provider or CRM. All without touching a single line of code or hiring an IT guy. Interested in learning more? Learn more about Leadpages and Zapier’s integration. “Play around,” say the experts at Facebook. Test different images and formats before you commit to a particular creative asset, and always preview how your ad will look before you run it. Create mockups, get feedback from your team (and Facebook), and look to competitors in your sector to see what they’re doing. Even small adjustments to copy, images, or CTAs could mean huge benefits for your bottom line and the same goes for your Facebook ads. Running multiple variations presents you the golden opportunity to uncover what is resonating the most with different audiences. Don’t assume anything works until you’ve tested it. If you’re anything like us, you crave simplicity. Did you know that you could avoid the cumbersome Facebook Ads Manager and build Facebook landing pages and ads all within Leadpages? That’s right. Whether you’re a green or seasoned marketer, our simplified ad builder makes it possible for anybody to reach your customers in a way only the most sophisticated advertisers have been able to—until now. With this feature, we bring Facebook’s audience insights straight to you. Then we connect you right to your landing pages for a unified and beautified campaign. Want to test drive it now? Head to your Leadpages account where it’s up-and-running, or start a free 14-day trial of any plan level. When it comes to Facebook Lead generation, these 12 steps are an excellent list to keep on hand. You can also learn more about how defining the right audience and Facebook retargeting can cut your cost per lead and encourage greater success on Facebook!